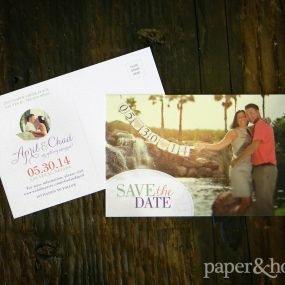 Save $100 on Your Wedding Invitations with Smock! Brides and grooms to be: we have a new promotion for you! 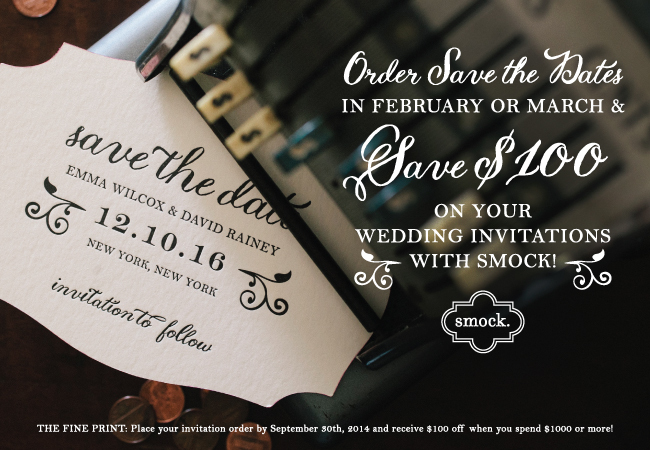 Anyone who orders Smock save the dates in February or March will receive $100 off when you order your Smock wedding invitations through Paper and Home by September 30, 2014! Smock is a print shop based in Syracuse, New York, a post-industrial town with sprawling warehouses and pretty grit. Their shop consists of 30 antique presses, 50 tons of equipment, and 80 employees. They are faithful lovers of historic craft. They have letterpress ink in our veins. They believe in things, and are trying to make the world better right now. This affects everything they do (and why we love them too). They also believe in the creation of beautiful things, and we want, like you, to feel good about where our beautiful things come from. 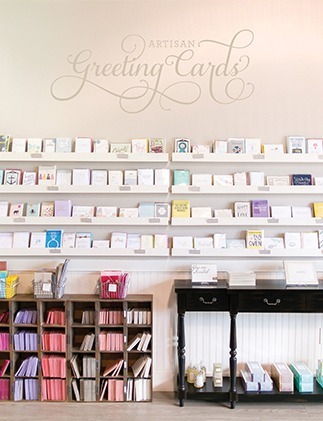 Smock was the first print shop in the U.S. to offer printing on a luxury bamboo paper. 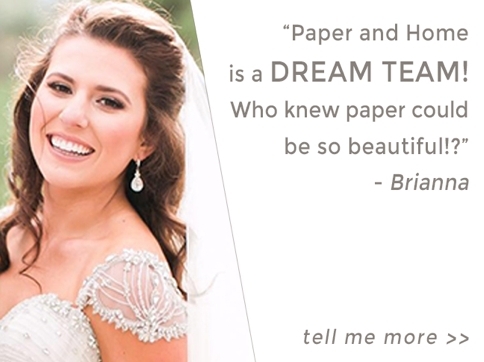 They wanted a truly sustainable paper that was gorgeous too. Today, they work with a historic paper mill a short drive down the road in New England to produce their exclusive bamboo stock. Give us a shout with any questions about the Smock line and promotion. You’ll save some green, be green, and have the most beautiful save the dates and invitations for your wedding! 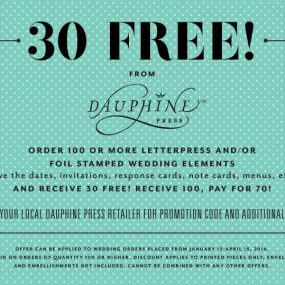 30 Free Invitations from Dauphine Press!